Love our progress? Here’s your chance to keep it moving! The Plaza District Association is a 501c3 organization working to revitalize the Plaza District. 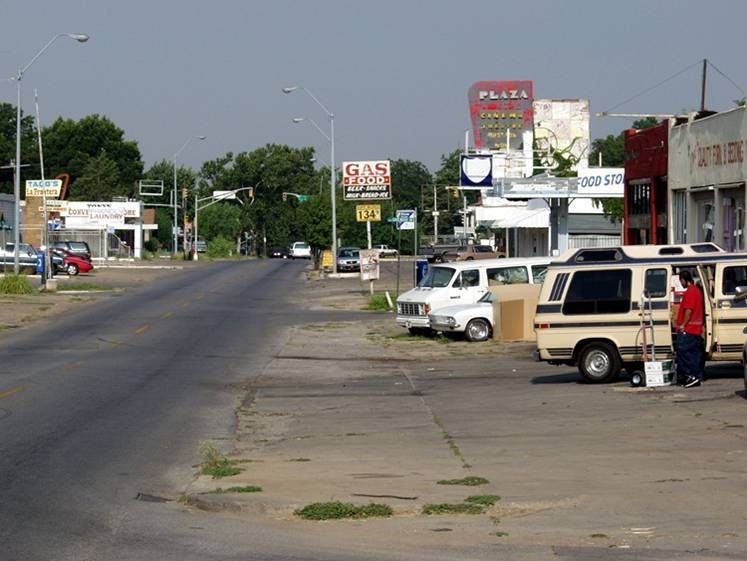 If it weren’t for the association, the Plaza District would remain the neighborhood blight it once was. Today, the Plaza District Association works to support and recruit local business, promote the district through events such as LIVE on the Plaza, the annual festival and the Urban Pioneer Awards. Additionally the association maintains the street so it will remain clean and safe for you! 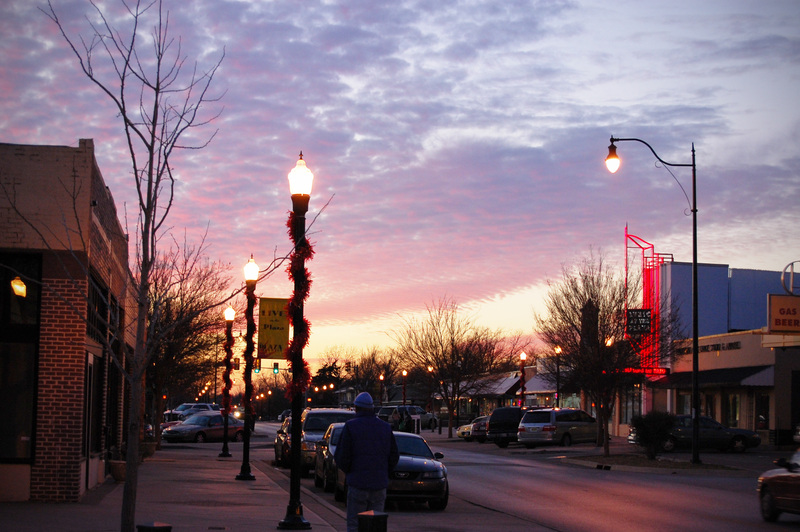 The Plaza District is an advocate for Oklahoma City’s creative, local voice and we work to progress the district as Oklahoma City’s local flavor. If you enjoy the district and the progress we have made, please consider becoming a Plaza District member. Membership includes many benefits to keep you in the loop, to outfit you with Plaza gear and the proceeds go directly to supporting the Plaza District cause. LIVE on the Plaza 2nd Fridays! Chaparney: Artists Suzanne Thomas and Cynthia Curry. Be sure not to miss this month’s Live on the Plaza for another FREE showcase of unique local art and music! From 7 – 11 pm on September 10th, Oklahoma City’s Plaza District is hosting its monthly artwalk to exhibit a new collection of local aspiring artists, musicians, and creatives. Collected Thread celebrates their two year anniversary! At 9pm, the store will debut the documentary Proceed and Be Bold, showing the life and work of letterpress printer Amos Paul Kennedy Jr. Check out a trailer of the documentary here! DNA Galleries host works by Sebastian Otto in his first ever US solo exhibit. Sebastian resides in Hannover / Lower Saxony, Germany. Dylan and Amanda Bradway met him while visiting Germany for Dylan’s show at Nice/Nice Exhibition Space where Sebastian is a co-owner. His work is filled with child-like characters with solemn expressions and exaggerated features that are serene and enchanting. Come helps DNA support international artists in Oklahoma City! Coffy’s Café is hosting an open-mic night for all you poets, storytellers, and musicians needing an outlet for your fountain of creativity! Stop in for gluten-free treats or tasty drinks, and feel free to use the array of instruments provided in-store for the public to enjoy. Be sure to stop by Bad Granny’s Bazaar to see the work of local artist Sarah Gray, as well as browse the store full of sales! The Velvet Monkey will be displaying pop art by artist Ashley Smith as well. Visitors will be free to roam the array of vintage clothing, magazines, and various cool accessories located in the back as well. For the dog lovers, greyhounds, pugs, Rotts and Weim’s will be setting up ‘Rescue Corner’ on 16th St & Blackwelder. Visitors are invited to come and meet the dogs and learn about the process that goes into rescuing, rehabilitating, and adopting these sweet pups. At Juju Gallery, come view Wooden Ink: The art of Samantha and Chris Provin, as well as the handmade art and craft throughout the studio. Don’t forget to stop by Warpaint Clothing to see their new selection of awesome handmade t-shirts and fashion accessories. Created with 2 parts love and 3 parts creativity ensures that you won’t find any other pieces like these anywhere else. 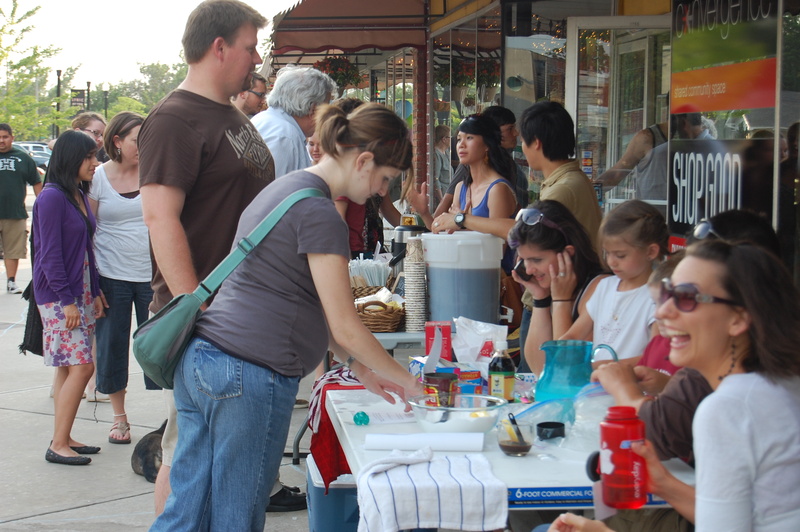 The Plaza Artist market boast local artists at 1704 nw 16th. Bella Vita Jewelry, House of Smash, Promise Art, Garrett Shockey, JASWORX, Jennifer Jewel, Dreaming Hazel and Handmade with Heart! Stop by for local, handmade art! Throat dry? Stomach growling? Then stop by the Pops 66 truck to sample their legendary array of sodas, or grab a tasty burger and some fries. Drinks, desserts, dancing…and a chance to get all gussied up? I know I’m in! Hope to see you there too! Join the Lyric Theatre of Oklahoma for dessert, drinks and dancing to the popular Burton Band at the 15th Annual Broadway Ball in the Grand Ballroom at the Skirvin Hilton Hotel in downtown Oklahoma City! This “After Dark Event” event will party on from 9:00 pm to midnight. Guests will get the chance to bid on this year’s amazing silent auction items, and purchase tickets for the chance to win the incredible raffle items! Visit http://www.lyrictheatreokc.com/broadwayball for the complete list of auction and raffle item descriptions. This year’s Broadway Ball After Dark Event is sponsored by the Lyric Understudies and the Inasmuch Foundation.